Each Olympic trials event has offered me an opportunity to compete against America’s best. Not even a National championship garners such a competitive field. I have borne witness to the nervous excitement of my fellow competitors, relished the undertones of “it could possibly be me making the team”. I have seen (and been) the walking wounded. Everyone is there riding on the coattails of hard work, heart ache, and supreme dedication. 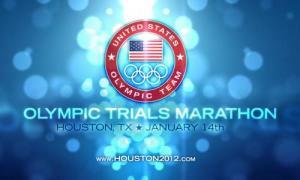 The Olympic trials are a spectacle, qualifying is an honor, competing is exhilarating. Like any sporting event, there are pre-race predictions, athletes are hyped, and experts pontificate on how the races will unfold. The beauty of sport, and the reason why races are contested, is that nobody has a crystal ball and ultimately surprises happen on the big day. I love being a part of all of that. My own experiences at the Olympic trials have been varied – the purposes of each race have been different, yet each one has helped me grow as an athlete. When I competed in the swimming trials in 1988, my motivation was to gain national experience and observe firsthand the inner workings of making an Olympic team. I had no illusions that I would place in the top 2 of my events; I was there solely as field filler. If it were a ballet, I would be in the company. If it were a movie, I would be an extra. My role at the trials was an important one; certainly nobody wants to attend a swim meet with 10 people in each event. Hence, the majority of the field is there to round out the events. And in typical American dream fashion, perhaps a field filler athlete would defy the odds and catapult onto the world stage by making the Olympic team. I viewed the 2000 marathon Olympic trials as a dress rehearsal for the triathlon Olympic trials which were 3 months later. It was a chance to shake off the cobwebs and learn from the mistakes of the top contenders. While I was intent on running a personal best, there was no pressure. I lapped up the enthusiasm of the spectators, riling up the troops that were lining the section of the race that went through Fort Jackson by getting them to cheer me on. And, on this occasion, a field filler athlete won the event, toppling the pre-race favorites. I competed in three triathlon Olympic trials. They could not have panned out more differently. In 2000, I improbably qualified for the Sydney Olympics. I hobbled into the 2004 trials with an ongoing back injury. I ended up pulling out during the bike. After a 2 year hiatus from ITU-style racing, I decided to make one final attempt at qualifying for the Olympics in triathlon in 2008. While I missed the team, I finally got the needed closure from that style of racing and later that year I won the Ironman 70.3 World Championships, softening the blow of not competing in the Olympics. And that brings me to the 2012 marathon Olympic trials. Once again, my role is that of field filler. A record number of women qualified for these trials, a testimony to the growing long distance running talent in the US. And, for the first time ever, the men and women will be competing on the same course on the same day. The Houston marathon and half marathon take place the day after trials – built in spectators? The looped course makes viewing the race friendly (although all too easy to step off if the day goes awry). My two objectives for the race are simple: 1. run the best race I possibly can on the day and 2. savor the moment, because you never know if you get another chance. I wish you the best of luck at the trials. I will be cheering you on from Colorado Springs! Best of Luck to you here in Houston. Have a great race/experience. Have enjoyed following your career. Good luck to you Joanna!! I will be cheering for you in Houston. I’ve been following your progress on making it to the Olympic Trials for much of the past year. Needless to say, I will be cheering for you when you race in Houston! Wishing you the best of luck from Coeur d’Alene!